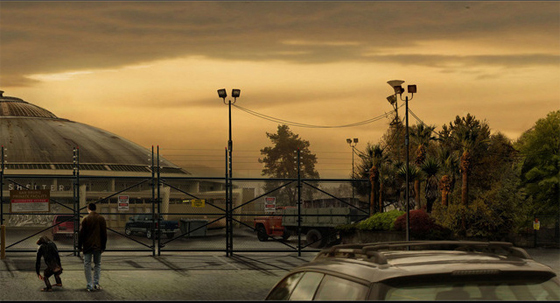 New 'RISE OF THE PLANET OF THE APES' Concept Art Reveals the Beginning of the Apes Brutal Uprising! 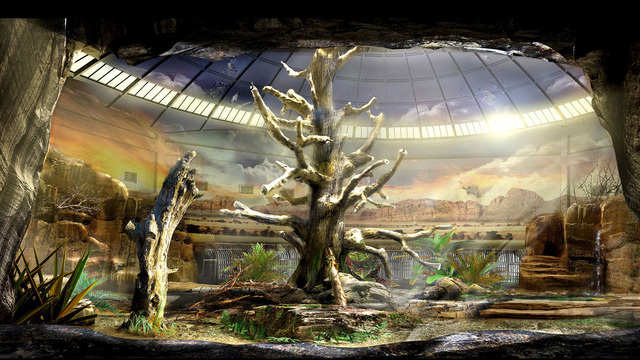 Five Rise of the Planet of the Apes concept art images have been revealed via io9. 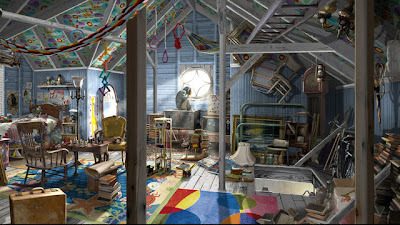 The images give us a pretty good look inside the world of Ape Revolutionary Caesar. 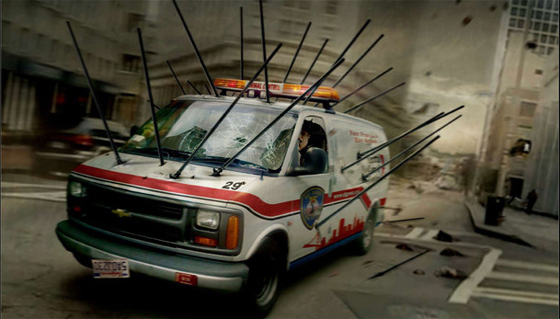 Also we get a glimpse at some of the weapons the Apes will use to overthrow humanity. 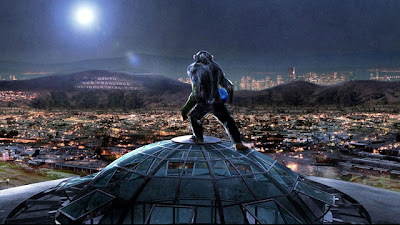 Rupert Wyatt directs Rise of the Planet of the Apes which hits theaters August 5th 2011. Hit the jump to check them out. A single act of both compassion and arrogance leads to a war unlike any other -- and to the RISE OF THE PLANET OF THE APES. The Oscar-winning visual effects team that brought to life the worlds of Avatar and Lord of the Rings is breaking new ground, creating a CGI ape that delivers a dramatic performance of unprecedented emotion and intelligence, and epic battles on which rest the upended destinies of man and primate. 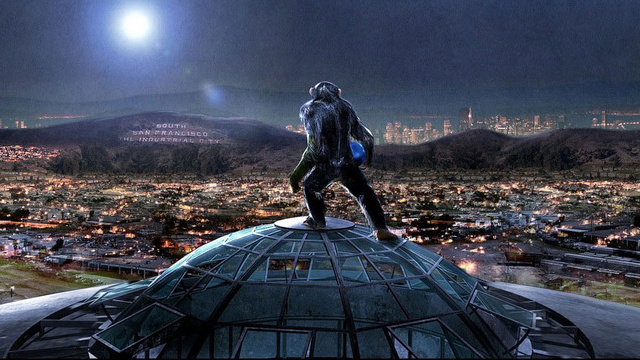 "Atop a primate shelter overlooking San Francisco, Caesar takes his first steps towards a shocking revolution." 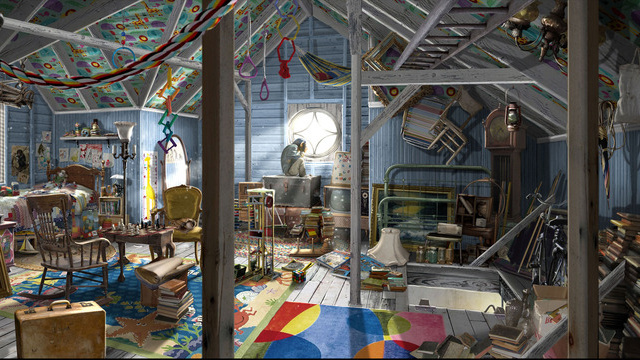 "An attic window provides Caesar's only view of the outside world." "The interior of a primate shelter will soon be ground zero for a revolution that will alter the destinies of man and primate." "Will reluctantly takes Caesar to the chimp's new home - a primate shelter where Caesar will ultimately realize his destiny." I'm reading: New 'RISE OF THE PLANET OF THE APES' Concept Art Reveals the Beginning of the Apes Brutal Uprising!Tweet this!